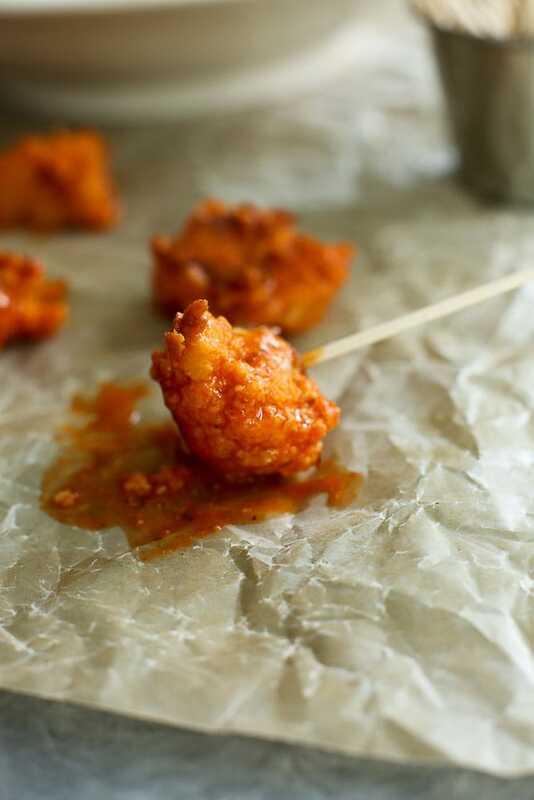 If you love Buffalo Chicken Wings, you’re going to LOVE these Buffalo Cauliflower Bites. They are baked, not fried, but still have a bit of crispiness. They also have that buffalo flavor you crave. It’s alllll about that buffalo flavor, right? 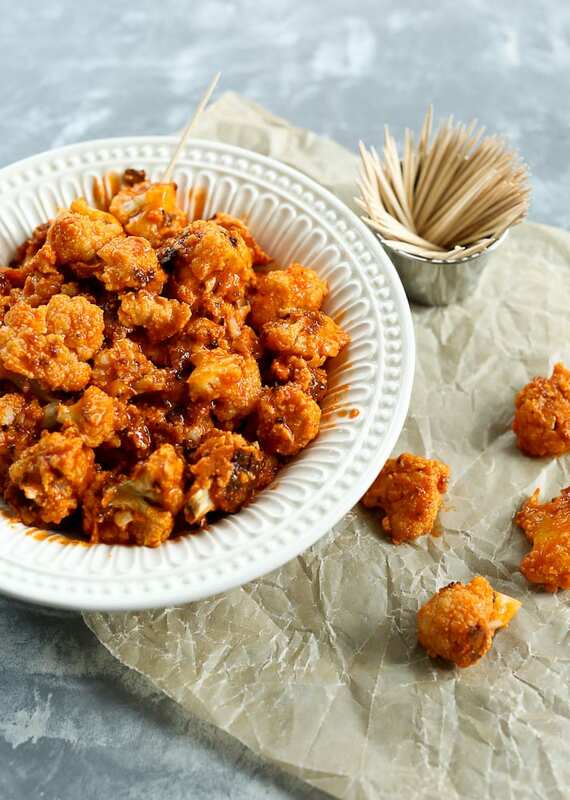 These Buffalo Cauliflower Bites are vegan, gluten-free, Paleo, and 100% addicting! So, tell me. Are you excited about football season? Or do you really not care? Somewhere in the middle? I actually love football. I grew up with two brothers who played all the way through college and loved watching them and their teams. My family always rooted for the University of Michigan and the Lions (I’m a Michigan girl originally) and I feel like football has always been a part of my life. Along with football comes football food. Why is football food the worst food for you on the planet? 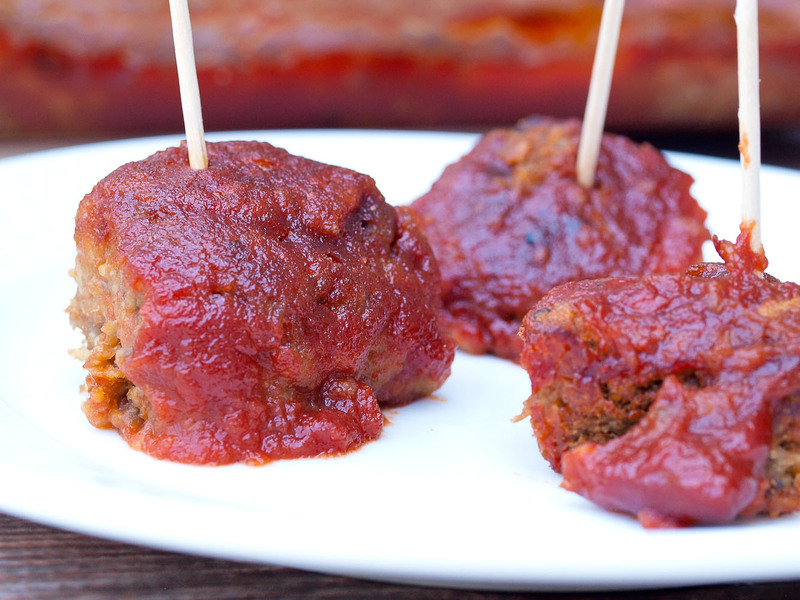 Football tailgates and parties are always the most cheese-loaded, fried, and meat-heavy spreads you’ll find. Don’t get me wrong. None of those foods are forbidden. Let’s not even go there. But really, I’m not going to eat those foods every weekend from now until February, no matter how much football I watch. Not gonna happen. But wait! Some of those foods can totally be recreated in a healthier way. No, really! Let’s talk about these Buffalo Cauliflower Bites. Let me tell you. These babies are addicting. Nobody’s going to complain about a big ol’ bowl of Buffalo Cauliflower Bites. Nobody. Trust me. 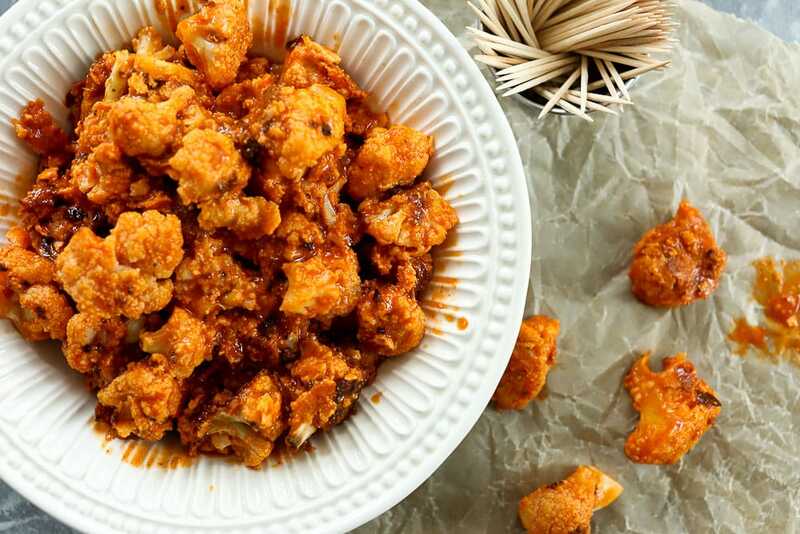 To make these Buffalo Cauliflower Bites, you’re going to want to start with bite-sized cauliflower pieces. So you can pop them right in your mouth. Then you’re going to coat them in a mixture of vegetable broth, almond flour, and seasoning before you put them in the oven to roast. You can use another flour if you wish, but almond flour keeps these gluten-free and lower in carbs. Once they are done roasted, you douse the crispy cauliflower bites with buffalo hot sauce. Oh, yeah! Even if you hate football, you still need to make these. I’m not going to lie. I could eat a bowl of these little guys for lunch on a Tuesday with no football in sight and it’d still make perfect sense. These would be incredible dipped in bleu cheese. That would ruin the whole vegan part, but man, would it be good. They don’t need a dipping sauce, though, because they are pretty phenomenal all by themselves. 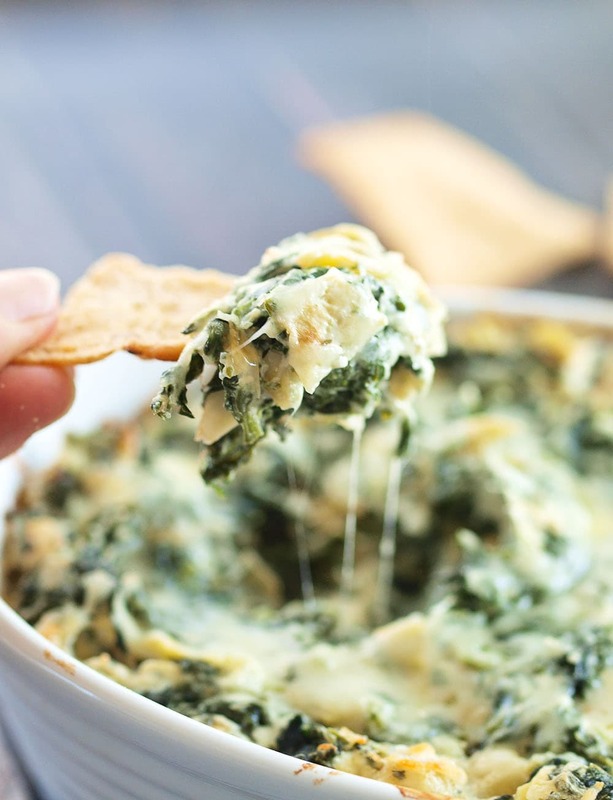 Just get ready to be addicted to your new favorite snack. Cauliflower! WHO KNEW? If you love cauliflower, you should also try my Simply Roasted Cauliflower or Cauliflower Fried Rice recipe! 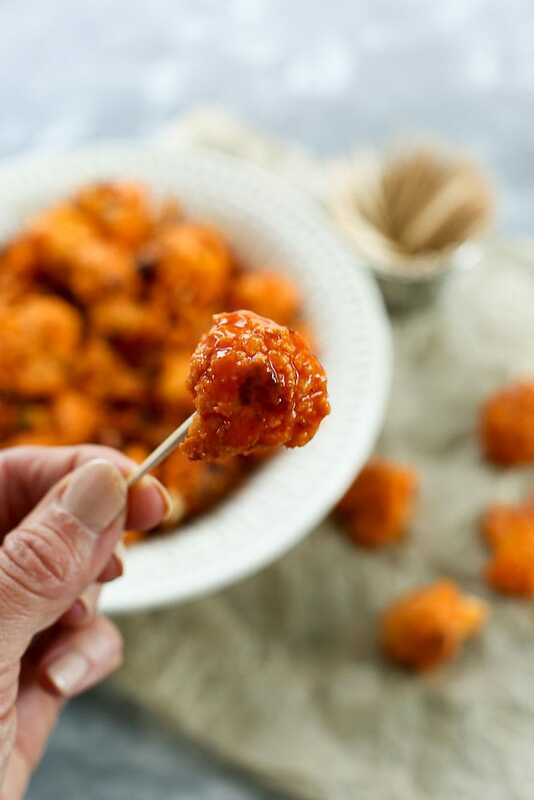 These Buffalo Cauliflower Bites are a healthy, addicting alternative to Buffalo Chicken Wings! Preheat the oven to 350 degrees. 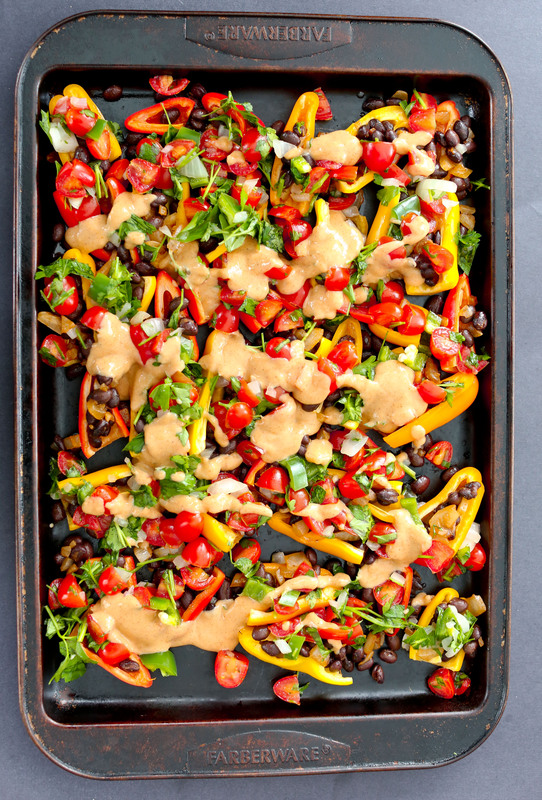 Spray a baking sheet with cooking oil and set aside. In a large bowl, mix together the almond flour, vegetable broth, garlic salt, and pepper. Add the cauliflower pieces into the large bowl and stir until all the pieces are coated. 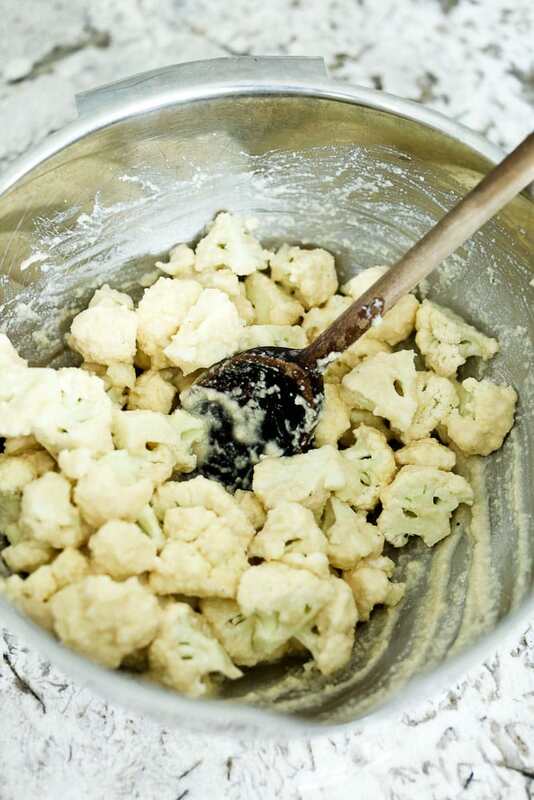 Place each piece of cauliflower on the baking sheet, shaking off any excess batter. Bake in the preheated oven for 25-30 minutes, or until the cauliflower is golden brown. Take the roasted cauliflower and coat it with the buffalo hot sauce and serve immediately. Enjoy! 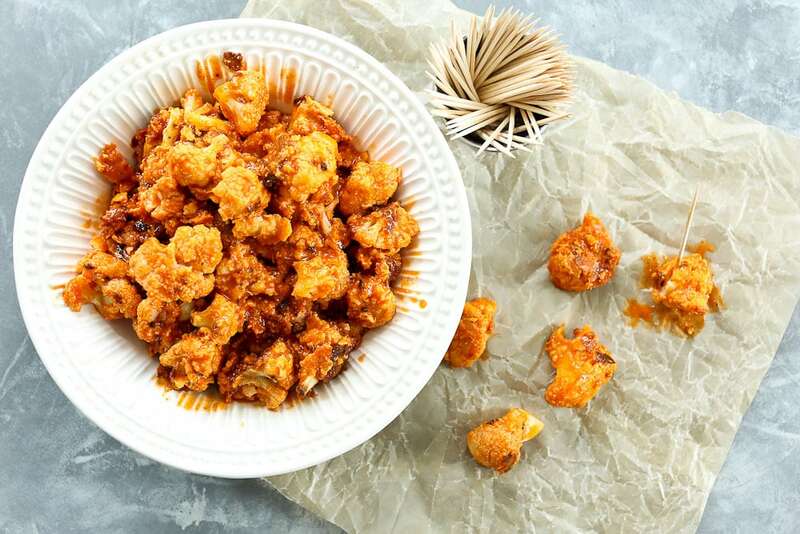 If you make these Buffalo Cauliflower Bites, I would so love to see them! Share them on the Happy Healthy Mama Facebook page or on your Instagram and tag me @happyhealthymama! Can’t wait to see what you’re making! 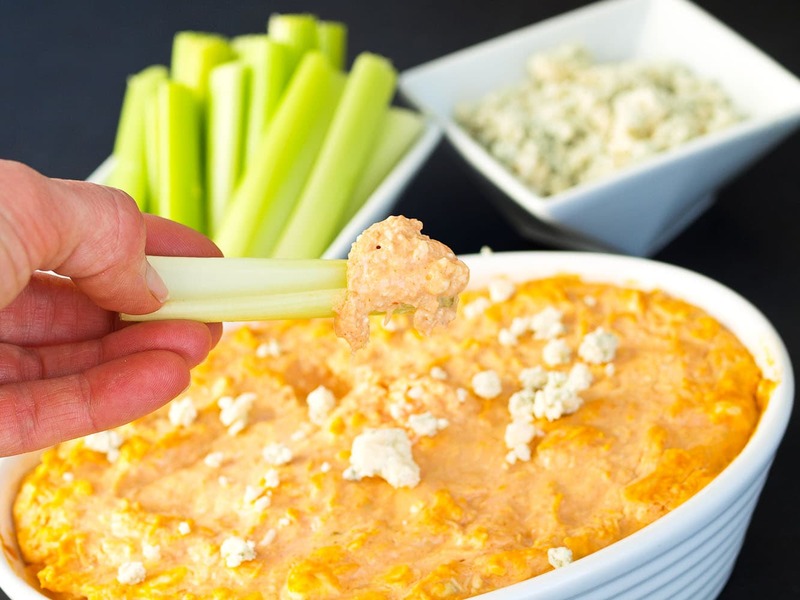 Need more healthy food for your football-watching pleasure? Try one of these healthified recipes! Girl, these look out of this world good! These are so addicting! I used all-purpose flour since I didn’t have almond flour, and they turned out great. I had some batter left over, so I used it for some sliced fresh mushrooms. Oh so yum!! Thank you for another great recipe!!! 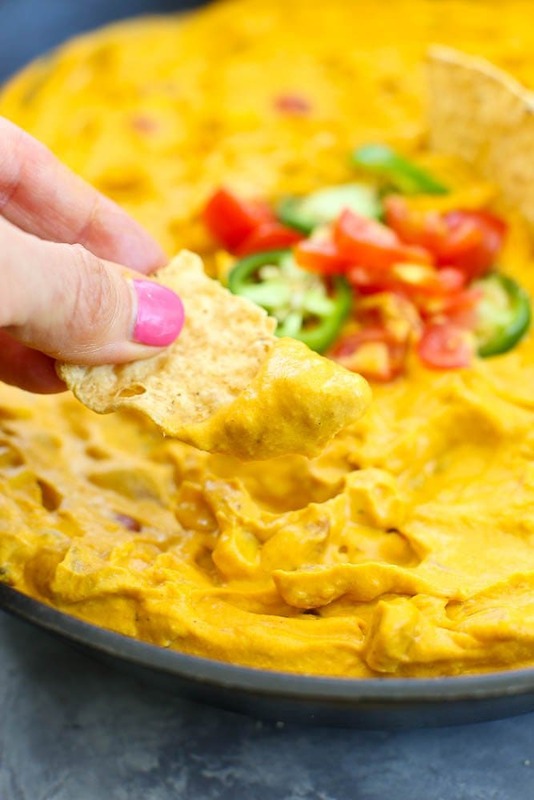 Love this recipe, I’ve made it loads since we first found your page, along with your queso dip, and it’s REALLY hard to make enough cause it gets eaten so fast! Thanks for sharing it. So so happy to hear this, Ella! I love these! I skip the flour step and just coat the cauliflower with buffalo sauce and TJ everything but the bagel seasoning and toss them in my air fryer…delish! What a great idea! We don’t have an air fryer yet, but it’s on my list. can you deep fry it as well? Or do you need adjustments? I’ve not tried deep frying these. Almost impossible to peruse the recipe behind the onslaught of pop up ads. Too bad. Maybe cut back. Very delicious and attractive dishes. I did not expect the baked bowel soup to be so delicious. looks charming.